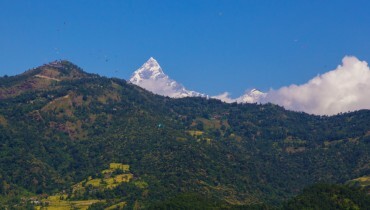 Nepal is a country with a unique and diverse history of life and culture. It contains thousands of years of history. It is known as the house of the highest mountain on Earth, including the Everest (8848 meters), medieval art and architecture, and also the cradle of two major world religions: Hinduism and Buddhism. Each place in Nepal has a unique cultural context. The traditions, religions, beliefs, languages, places of social residence and costumes.Nepalese people have various aspects of culture. Pilgrimage sites, historical monuments, and heritages reflect the richness of Nepal's achievement. A vivid heritage can be seen at every step of the holiday in Nepal. You can even interact directly with different ethnic communities, which will be an even more exciting part of your trip to rejuvenate your spirituality. In addition to the beauty of the culture, several wildlife sanctuaries and national parks are also other attractions for tourists who have the opportunity to encounter endangered wildlife and receive a wealth of information on various species of animals and plants. Experience our cultural pleasure based on its flexibility, and we, Amazing Nepal Trek & Expedition can organize a week-long trip with different options.